A newfound taste of North Luzon with Pilmico. An awesome treat for all foodie and traveler, Panlasang Norte: Mahalin Pagkaing Atin of Pilmico brings your favorite dishes from the north to the metro. If you miss the food from different places in North, you named it they have it here at Mercato Centrale BGC. RJ Ledesma, Co-founder of Mercato Centrale, There is no place where you bring people to enjoy our local food culture and that’s the reason we put up Mercato Centrale we get to enjoy our great local food. We are proud to support Pilmico of Mahalin Pagkaing Atin campaign. 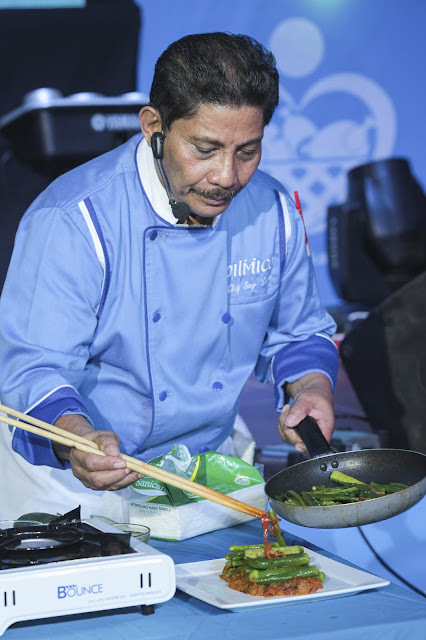 MPA brand ambassador and Idol Sa Kusina, Chef Boy Logro plating his very own version of Pinakbet, a famous vegetable dish of the Ilocanos. He made it truly Northern by topping it with Bagnet. Other yummy recipes he taught the audience include Chicken Roulade, Mango Empanada, and Crème Brulee; the good stuff that the crowd was only very happy to partake in. From the hearty chicken stew that is pinikpikan in the Cordillera to the crunchy, deep-fried pig skin of bagnet in Ilocos, you can say that the northern part of the country—like any other region of the Philippines—boasts a rich culture and food history. Traveling the country gets you accustomed not only with the local people, history, and traditions but more importantly, it acquaints you and lets you in on local delicacies or specialties. 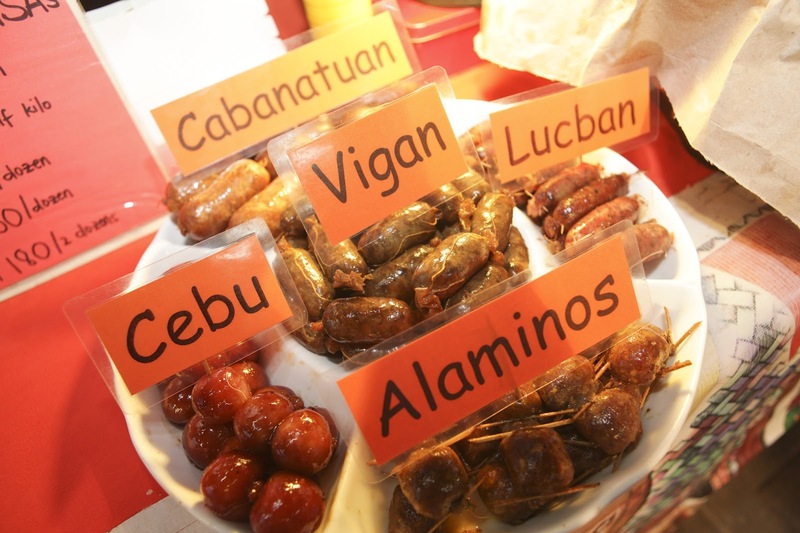 In other words, it’s a chance to get to know the diverse selection of local Pinoy food. With more than 7,100 islands, can you just imagine how many savory, hearty, and even exotic dishes the Philippines has to offer? Since 2014, the advocacy themed Mahalin Pagkaing Atin has been traveling the country through Food and Livelihood Expos to raise awareness about embracing our local food. Pilmico, the food subsidiary of Aboitiz and the company behind the program, visits tragedy, poverty, and conflict-stricken areas and helps the people residing in these areas build a new life and prepare them for sustainable livelihood. During the Food and Livelihood Expos, Pilmico also conducts seminars on animal husbandry and nutrition as well as cooking and baking demonstrations to showcase the different flavors of the provinces and promote local delicacies. Mahalin Pagkaing Atin has been to places like Tagum City, Davao, Bohol, North Cebu, Iloilo, Ormoc, Palo, Carigara, Baybay, Tacloban, Roxas City, Samar, Butuan, Tarlac, Nueva Ecija, and Isabela. 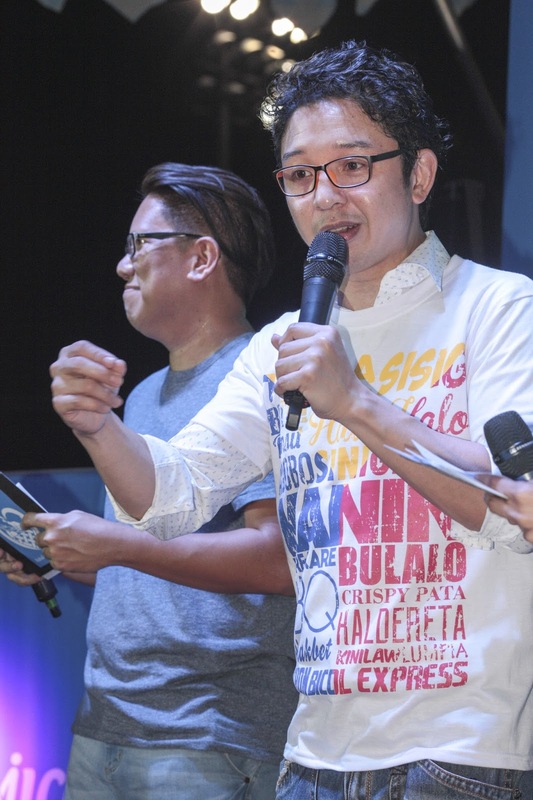 Now, Mahalin Pagkaing Atin is hitting the road once more to share this advocacy to more kababayans in Vigan City on September 9, after a quick pit stop at Mercato Centrale in Bonifacio Global City last July 31 for a session with Metro Manila’s savviest foodies, including former actor and Mercato Centrale co-founder RJ Ledesma. 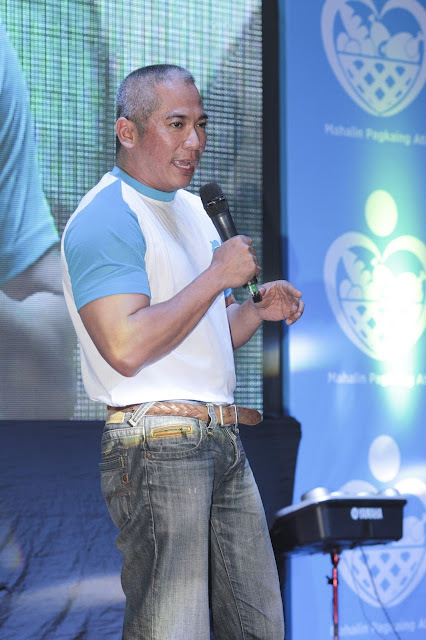 Mahalin Pagkaing Atin focuses on helping, teaching, and encouraging farmers to embrace backyard farming as a sustainable form of livelihood for locals as Pilmico distributes piglets and egg machines to selected beneficiaries with full cycle feed consumption. This does not only promote sustainable entrepreneurship and homegrown produce but also instills a “pride of product, pride of place” mindset for both the farmers and consumers. This is “embrace local” and “love local” in action. To give you an idea how much this program has achieved, check out these statistics: to date, Pilmico has already donated a total of 191 egg machines, 646 piglets, and 14 agriposts to 304 families nationwide. The Burger Lab "Build Your Own Burger"